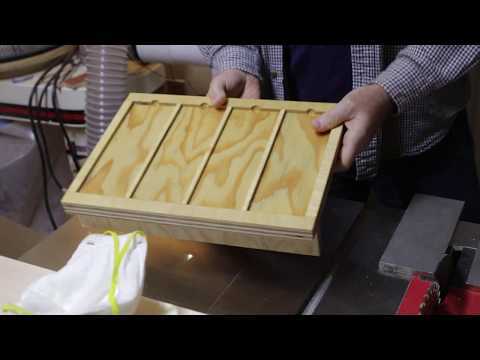 This is how I made my sharpening plate holder for my DMT Diamond plates to sharpen my chisels and plane blades. I used 3/4" plywood as a base, and glued on strips of 1/4" baltic birch. I don't know who was doing my makeup, but they needed to fix my shirt collar, haha!